OLYMPIA – Gov. 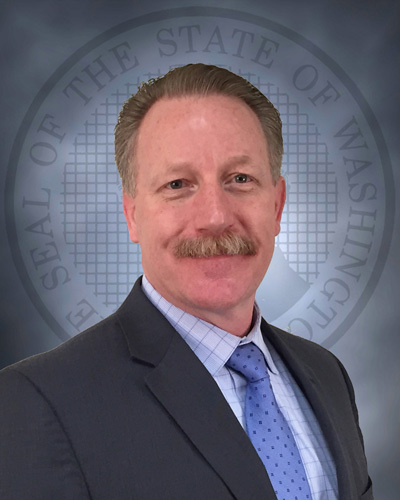 Jay Inslee has named Stephen Sinclair secretary of the Department of Corrections (DOC). Sinclair will begin the position immediately. He takes over from Jody Becker, Ph.D, who has been serving as acting secretary since January. She will continue at DOC as deputy secretary. Sinclair has worked at DOC for 28 years. He currently serves as assistant secretary of the prisons division. He began his career at the agency as a correctional officer and gained progressively greater responsibilities as investigator, sergeant, associate superintendent, superintendent and deputy director. As superintendent of the Washington State Penitentiary, Sinclair created the Sustainable Practices Lab, which employs incarcerated individuals in jobs that reduce the cost of facility operations and allows them the opportunity to give back to the community. The lab employs more than 120 people and is a national model of innovation that reduces recidivism. "Steve's extensive knowledge of every level of the Department of Corrections will help him continue the agency's mission of public safety and a focus on accountability," Inslee said. "He has strong, collaborative, and transparent relationships with stakeholders, and he will help ensure the agency continues to improve records management practices and procedures so that sentences are implemented accurately. Steve has demonstrated a clear understanding of the corrections field, including how to help individuals re-enter society upon release. I look forward to working with him. I also thank Jody for stepping up as acting secretary and for her dedication and service. She capably led DOC and will continue to be an important part of DOC's leadership team. I know that she and Steve will make a great team." "I am honored to be chosen to lead DOC, where I've spent my career. I am strongly committed to ensuring the agency continues to emphasize safety and security for staff and incarcerated people," Sinclair said. "I will continue to promote professionalism, clear and open communication, and respect for all individuals." Sinclair has a Master of Public Administration from the University of Washington. He is a member of the American Correctional Association and the Correctional Peace Officers Foundation. Sinclair is a 2009 recipient of the Governor's Award for Leadership in Management. This press release is also posted on the governor's website.